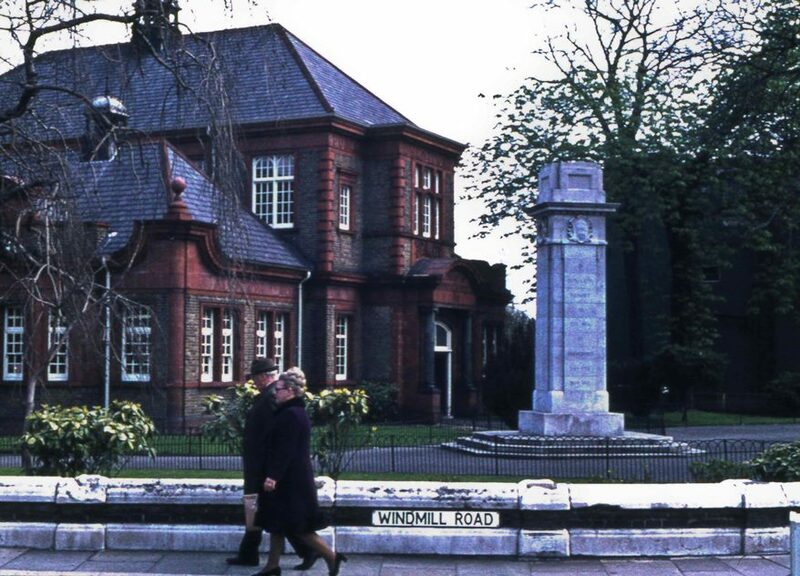 Peter Young took this photo of Brentford Library on 14th April 1973. It looks a cool day, the couple well wrapped up. Andrew Carnegie features in a splendid photo of the 1904 opening ceremony. The library was designed by Nowell Parr and the photo below shows his use of terracotta. Any changes since 1973? I cannot speak for the interior, not being local, but the site has a photo showing the WW1 memorial formerly outside St Lawrence's church, which was restored and moved to the library grounds in 2009. Sandra Graves has suggested the couple walking along past the library could be 'Bill and Ann Clark, they lived at 9 Hamilton Road with Anne's daughter and son in law Pat and Arthur Johnson. They moved there early sixties and I still keep in touch with Pat who now lives in Clacton. Anne used to work at Trico s in the 60s'.